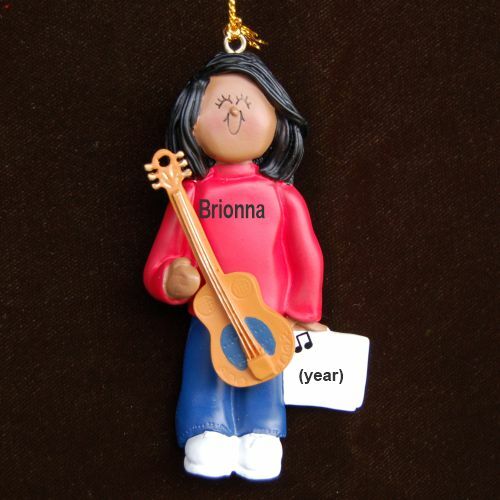 Encourage her development or celebrate her success with the acoustic guitar virtuoso African American female personalized Christmas ornament in cheerful colors. These high-quality yet affordable musical instruments ornaments personalized just for her include our gold cord for quick display wherever it will produce the most smiles. We'll letter her name and the year by hand before tucking the African American female guitar player personalized Christmas ornament in our lovely velvet gift bag, a Russell Rhodes exclusive.